With the news that all children in England are to be taught First Aid and CPR by 2020, Allstar Training are determined to raise awareness about the importance of learning basic life-saving skills. We all hope we’ll never be in the position where we need to use our knowledge to save a persons’ life, but it could happen, so we should be prepared. We have detailed some information from our First Aid courses accredited by Qualsafe, for your reference. Please don’t rely on this as your sole source of information. Try to find a few hours where you can attend a basic First Aid course to complete hands on training in the skills of dealing with an emergency situation. 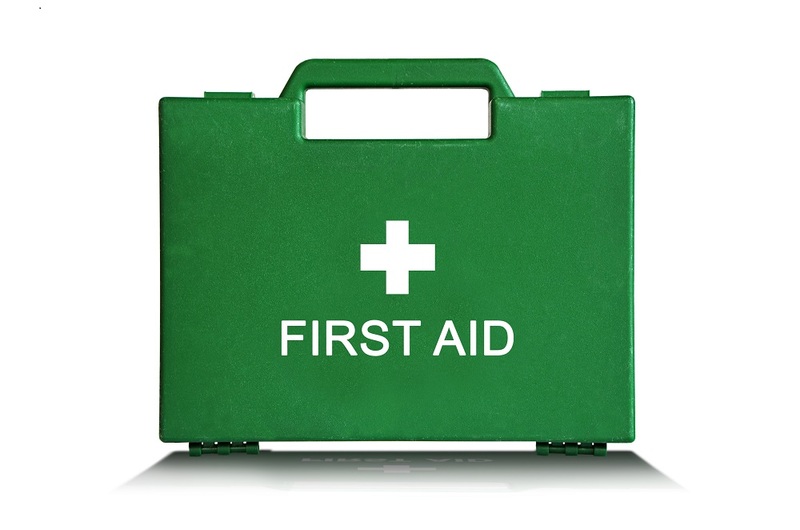 First aid is defined as ‘help given to a sick or injured person until full medical treatment is available’. The Health & Safety (First Aid) Regulations 1981 require an employer to provide suitable first aid cover in the workplace. Make sure you, the casualty and any bystanders are safe. Don’t put your own life at risk, one casualty is enough. Unconscious casualties take priority and need urgent treatment. If an unconscious casualty is on their back, the airway can be at risk. Identify and treat and life-threatening airway problems, i.e. the tongue, vomit, choking, burns, strangulation, anaphylaxis. If the casualty is unconscious, tilt the head back to open the airway. When the airway is clear/opened, move on to breathing. Identify and treat and life-threatening breathing problems, i.e. asthma, crushing of the chest, chest injury, collapsed lunch, poisoning, anaphylaxis, cardiac arrest. If the casualty is unconscious and not breathing normally, perform CPR (Allstar Training can provide training for this technique). When life threatening breathing problems have been ruled out or treated, move on to circulation. Identify and treat and life-threatening circulation problems, i.e. heart attack, heart failure, severe bleeding, poisoning, anaphylaxis, cardiac arrest. When life threatening circulation problems have been ruled out or treated, the primary survey is now complete. You can now look for other less urgent problems (such as broken bones). *Taken from First Aid Made Easy; A comprehensive first aid manual and reference guide. Edition 10.1. Allstar Training Ltd offer various courses such as Emergency First Aid at Work, First Aid at Work and Paediatric First Aid. For more information or to check availability on one of our open courses, please call us on 01473 603344 where a member of our team will be pleased to help.